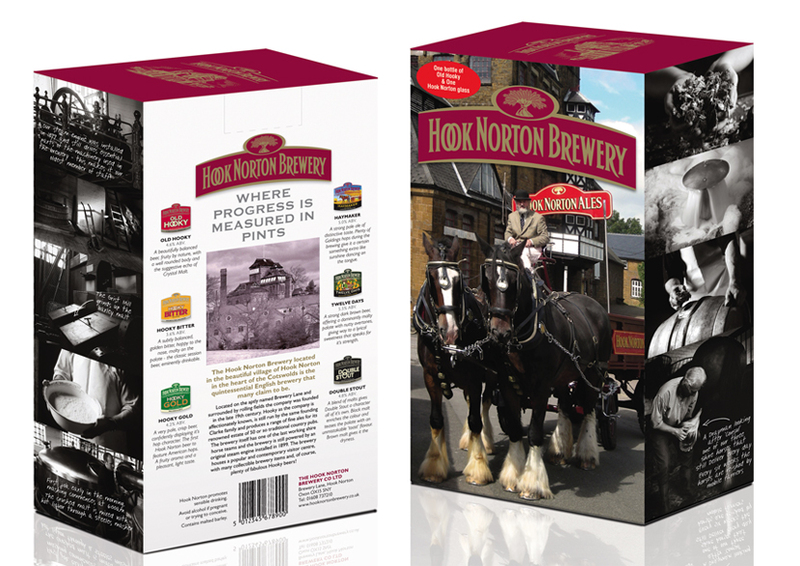 Gift box to contain one bottle of Hooky Beer and a Hook Norton glass. 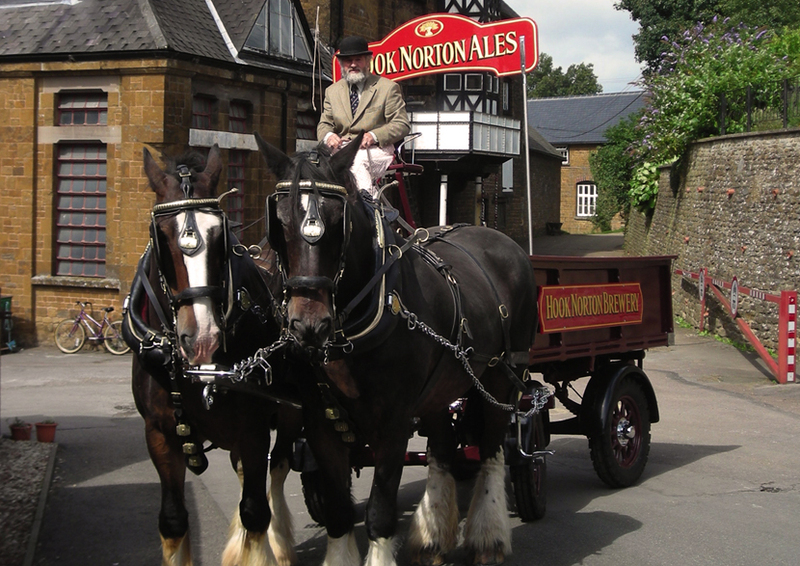 With a brewing process still powered by its own steam engine installed back in 1899, and local deliveries by shire horse drawn dray we captured the nostalgia and culture of the brewery with moody black and white reportage photography and handwritten notes. This was supported by informative tasting notes on the back. 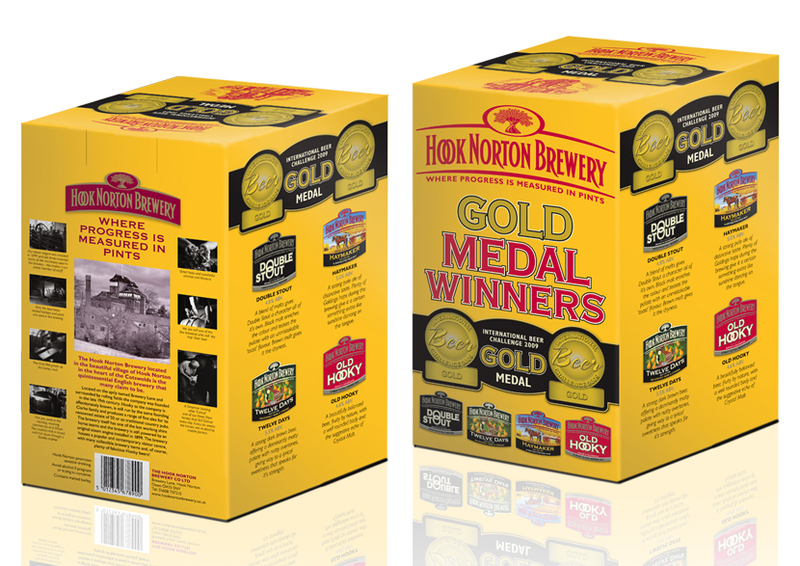 Beer box to contain Hook Norton's IBC Gold medal winning beers. 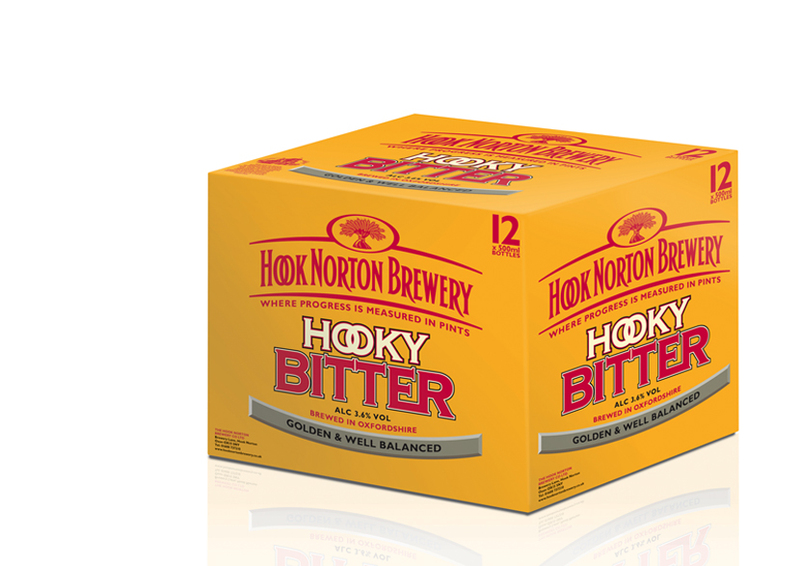 Twelve bottle box of Hooky Bitter, we let the strength of the Hooky Bitter labelling speak for themselves. The brewery remains only one of 32 independent family-run breweries and you won’t find a finer example of a Victorian tower brewery anywhere. Its also the only brewery still driven by steam. So its nice to be involved in transporting this bit of England to the USA. Working with Shelton Brothers, Belchertown MA redesigning labels for US Government approval. We have been working with them over the last few year on a variety of projects from advertising to the design of their packaging and labeling.